Did the Starvation/Defiance loop a few weeks ago and was admiring the new seating area at Hole-In-The-Wall Falls. Just east of there on the new paved trail between the trail and I-84 was this old stonework. Anyone know what it is from? I believe that is (one of) the oven(s) Limey was concerned about. 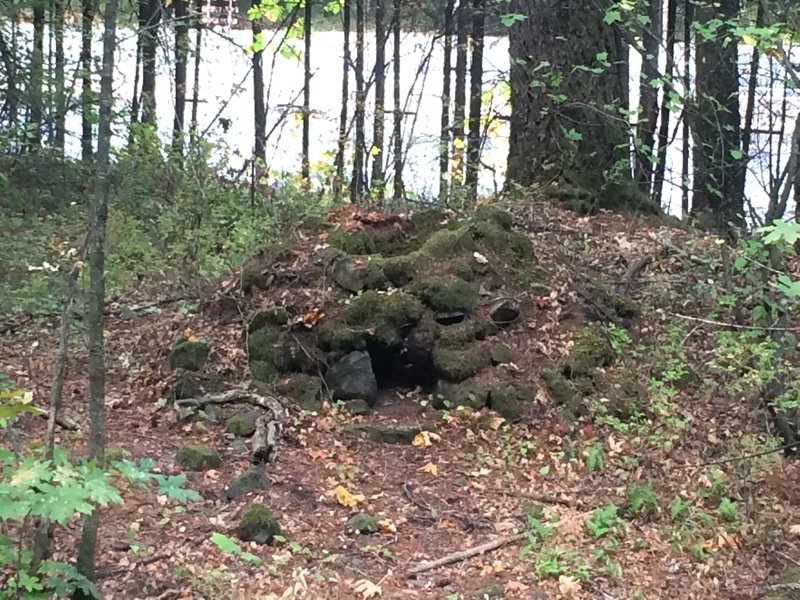 It is generally believed that these were bake ovens used by either the railroad builders or the highway builders. There is a second one close by that has pretty much collapsed in on itself. Thanks for the information! There is also a spring near the new Moffett Creek bridge (if I remember correcty) with an old stone work basin. I saw it a couple years ago after coming down from Wauneka Point with Peder. Wondering if that was built at a similar time by the railroad crews? I can't seem to find a picture of it, but it was talked about here. Oh, I've looked for that, but I guess I imagined it looking a little different. Looks like a guy could pass twenty feet from that and not even notice it. Did the giant ant hill survive the "improvements"? The giant ant hill still stands as well! It's right above the new trail, looks almost like a sculpture. Limey wrote: It is generally believed that these were bake ovens used by either the railroad builders or the highway builders. There is a second one close by that has pretty much collapsed in on itself. I think you are correct. There are a couple near the railroad along the Santiam.